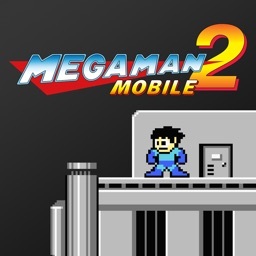 evil and helps Dr. Light develop the massive robot "Gamma." But all is not well: One day, the robots dispatched to eight mining planets go haywire! 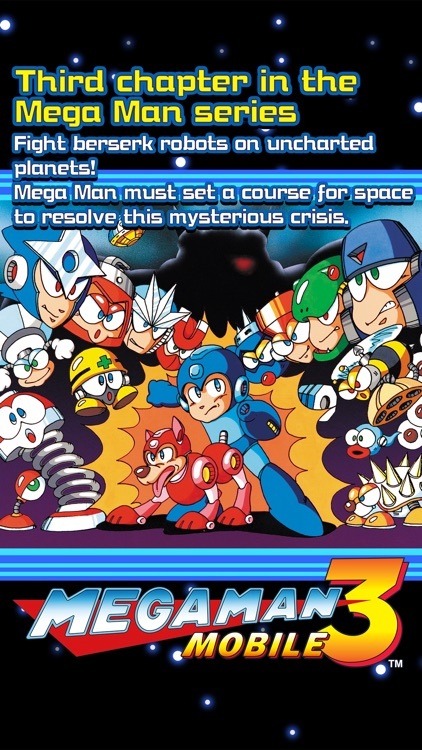 Mega Man sets off with Rush at his side to uncover the cause of this interplanetary crisis! so certain elements will differ from the original game. 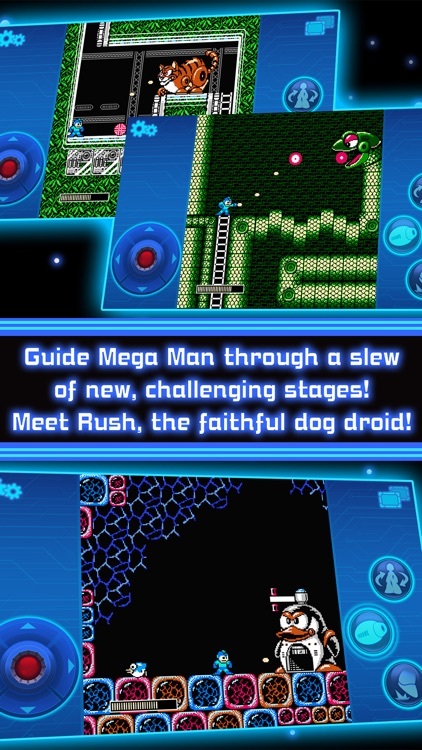 Mega Man 3 was the first game in the series to feature the now-familiar robot dog, Rush! 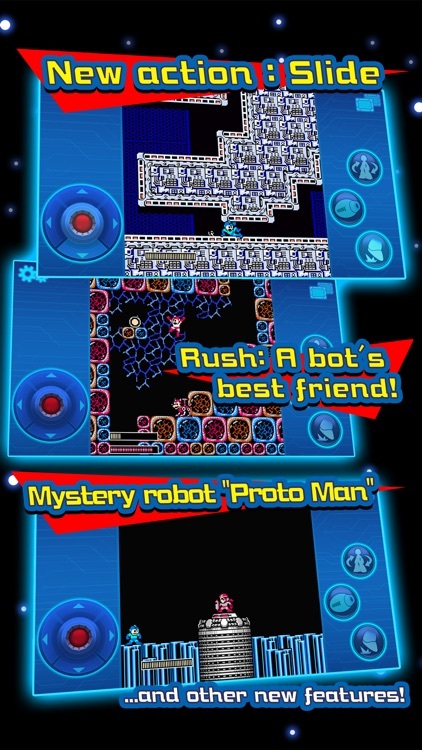 Built to aid in all tactical situations, Rush can transform into a jump pad, a jet, or a submarine! 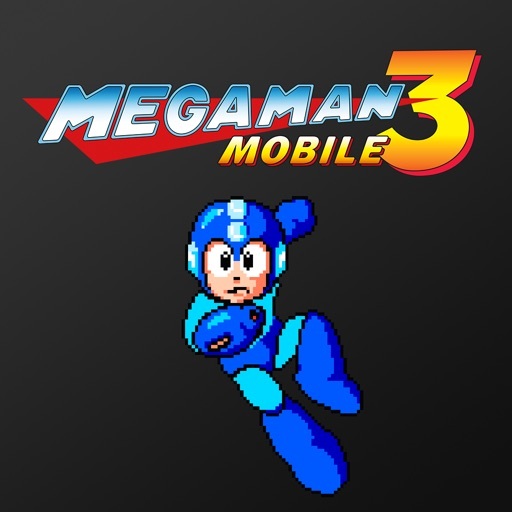 Mega Man 3 also introduced sliding to the series. Some narrow spaces can only be navigated by sliding through them! Hold down + jump while playing to slide. You can also use this technique to move quickly and dodge attacks! 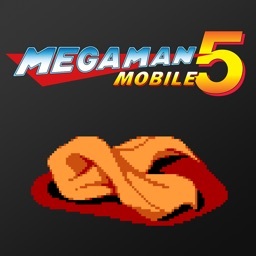 The continue screen is displayed whenever Mega Man dies. checkpoint you passed in the current stage. and enemy attacks deal more damage. 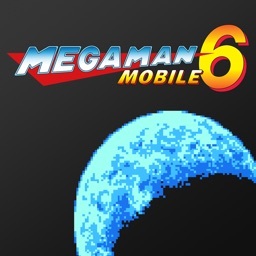 There are also fewer checkpoints within stages. The following settings can be adjusted in-game. Increase the number to raise the volume. 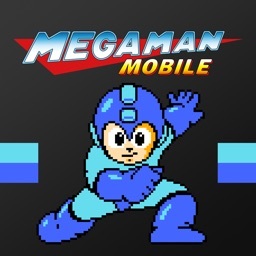 Set to "On" to have your device vibrate when Mega Man takes damage. Note: This option will not be displayed on devices with no vibration function. 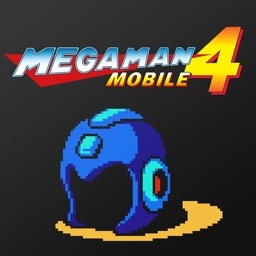 Auto: Hold the attack button for rapid-fire Mega Buster shots. 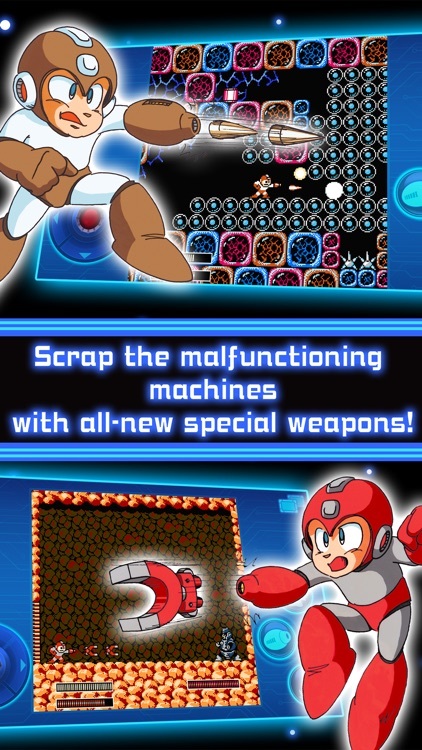 Manual: Each press of the attack button fires one Mega Buster shot. Tap repeatedly for rapid-fire shots. Choose between Normal and High to adjust gameplay speed. Change position of the in-game attack button and jump button.